Limerick’s Belltable Reopens it’s doors. . . Again! Belltable Takes Off – Since its opening five months ago Limerick’s Arts Centre has proved a resounding success and hopes soon to be self-supporting. I’d never go up to Dublin for longer than a couple of shows added Brid Dukes, Artistic Director of Belltable arts centre, who is happily ensconced in the Belltable while audiences filed in for the evening show of I Do Not Like Thee Dr. Fell. The stone trimmed, coloured glass front with its big white lamps looks not unlike a particularly nicely kept Victorian police station, stuck into half of a Georgian mansion. Belltable got its name as a compromise by those Limerick people who remembered its old days as a cinema and wanted it to be named in memoriam as the Coliseum and those who wished it to be named after the Confraternity C.U., whose building it still remains, or Amharclann na Feile, who ran it for years before them. Henry Hubert Belltable was a Belgian army officer who founded the Holy Confraternity in Limerick and whose aged portrait adorns a wall: but after that, he fades from the scene in a mass of modern looking, painted brick work and bright blue tip-up seating. After a while in the Belltable you can see what the irrepressible and bouncy Brid means. It is situated in O’Connell Street, near Limerick’s Crescent and for decades those streets seemed like tattered petticoats betraying the city’s formally grandiose merchant past: a past that had receded cruelly, leaving it high and dry. New developments seemed so crude beside them that you felt it was almost kinder to put the centre out of its misery. But people have helped tackle the restoration of the centre, now infinitely clearer and pleasanter than Dublin’s. This type of thing is known as civic pride: and Brid points out that Limerick always had it, appointing itself an arts officer before any other city and being the fourth to open an arts centre with a theatre auditorium. So wipe that sneer off your urbane faces Brid would urge. 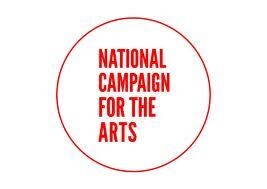 “It was Paul Funge who earmarked the only possible building in Upper O’Connell Street, when he was Regional Arts Officer, and it was Paul who decided that Limerick’s biggest immediate need in the arts would be a medium sized venue to be open at least half the year and he pushed through the idea and financing”. The latter question was taken care of by Shannonside Tourism, SFADCO, Limerick Council and the Regional Development Association, who coughed out £20,000 to replace tatty walls and peeling seats with low-key and elegant and practical fittings. The rent is £15 a week to the Confraternity, who live above the Belltable. And Brid is actually on the verge of getting the theatre to pay for itself….Brid has capacity houses for the first three months and aims to make the centre solvent and self supporting upon 30% houses with tickets from £1.50 to £3.00. Belltable’s future is now once again secure in its proud new home and in a city that is as proud of its arts as it is of its other achievements. A much needed cultural boost is nearing completion in Limerick. The Belltable arts centre based on the city’s O’Connell Street is currently nearing the end of its 880,000 euro redevelopment. With capital funding from the Department of Tourism, Sport and Culture, the new departure in arts development in the mid-west is a timely boost to the region that has been dealt an overly severe hand in recent trading and social difficulties. Mayor of Limerick, Cllr Kevin Kiely, along with Minister of State Peter Power and other public figures were yesterday among the privileged few to receive a personal tour of the new Belltable which is designed by the renowned John Keogan who also oversaw the redevelopment of the Abbey Theatre in Dublin. Cllr Kiely said: “Limerick City Council are fully behind this project and will provide all the necessary resources and we have assured the board of the Belltable of this”. 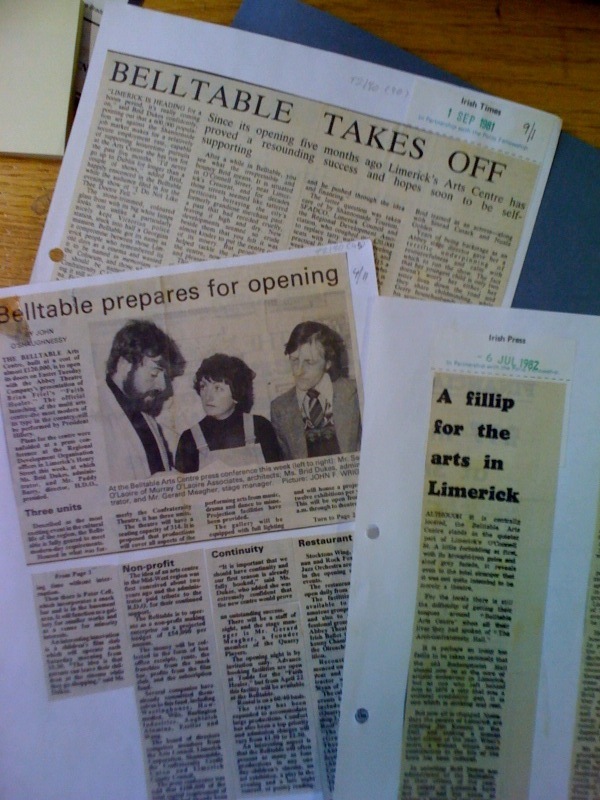 The Belltable was first opened as a multi-disciplinary arts centre in 1981 and acted as one of the only arts venues to tour work outside of Ireland at this time. Having last received a refurbishment in 1991, the Belltable has continued to serve as a venue to develop and produce theatre, visual arts, dance, music and film but was restricted in recent years by capacity and technical issues. It is particularly important taken by the Board of Directors, investors and city council that the site for the Belltable was chosen to remain on O’Connell Street and not on a green-field site outside of the immediate city centre. A drain of resources, trade and general atmosphere from the city centre of late has typified a population that has suffered more than most at the hands of economic instability. The Belltable will take pride of place on the city’s main thorough fare and provide cultural permanence and a venue the city and its people can be proud of. The success in recent years of events such as River Fest, Limerick Theatre-Hub, sporting achievements and other cultural initiatives highlight the passion in Limerick and the mid-west to support positives in the locality and also a drive to pull the region forward. Peter McNamara, chief executive of the Belltable, said they expect the work to be completed by November 2010. For all involved and for the many who are looking forward to this development, it can’t come quick enough.